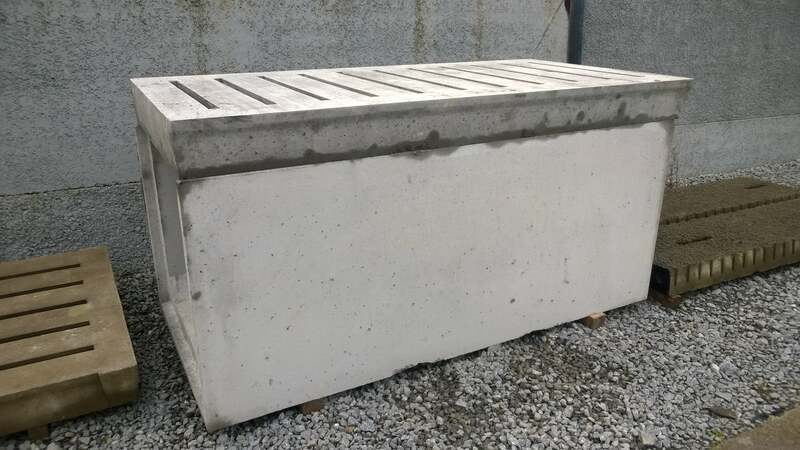 Our concrete slurry channel system have been designed to facilitate the free flow of slurry along the concrete channel from your shed to your storage tanks. 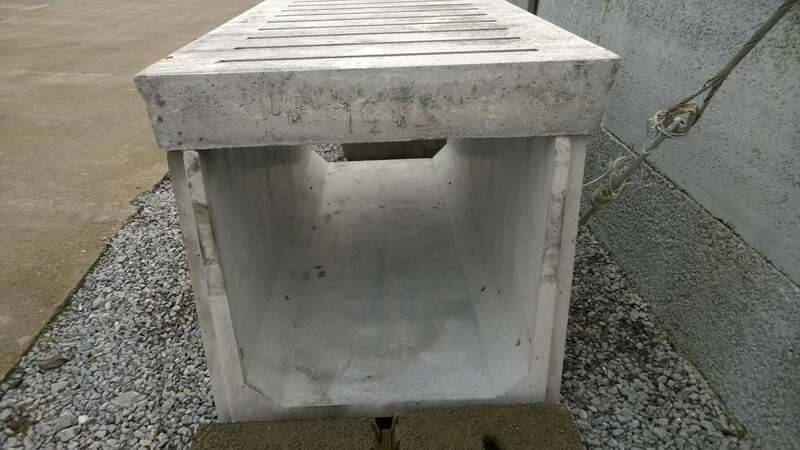 The concrete slurry channels can be manufactured with a mitred end to make the diversion of slurry around corners possible. 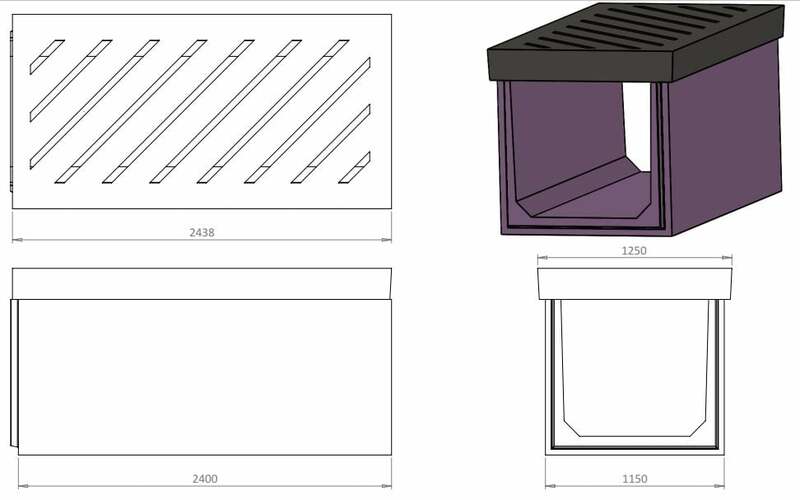 Slatted or or solid covers are available. All units are manufactured with male/female connections. 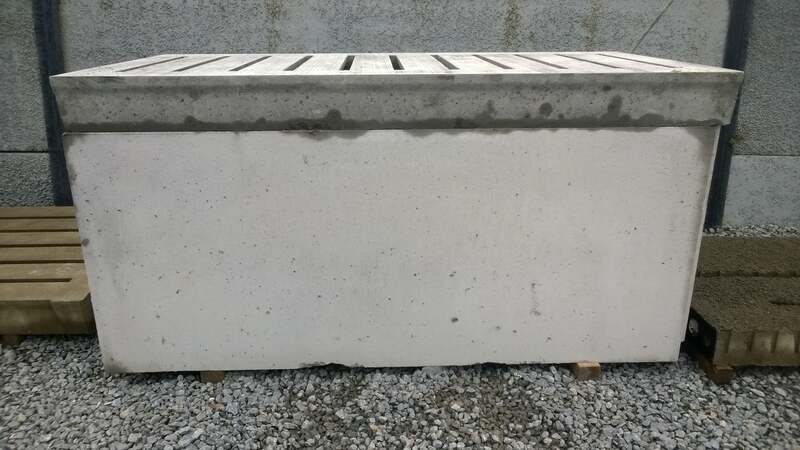 60Kn concrete is used in the manufacture of our slurry Channels to guarantee longevity. The system can be installed very quickly. Four lifting units are located at the bottom of each unit to allow ease of handling. A large selection is kept in stock to ensure quick delivery.